Since ancient times, flowers in all their glory have been the stars of a wide range of settings and visual cultures, and a mainstay for men trying to win the hearts of women. There have been some changes in recent years, however. Grass, all kinds of grass, is no longer a side player often forgotten under bridges or roadsides, no longer a weed people rush to uproot, or a mere backdrop for flowers, but upgraded to a major figure used by the media, creatives, even designers and artists to change the face of the city and enhance understanding of nature. These days, grasses are all the rage, the center of attention. 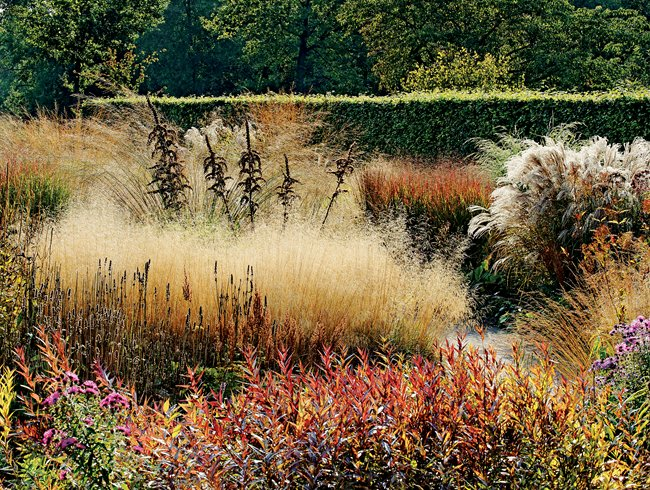 Piet Oudolf from the Netherlands is a master you absolutely must know if you’re in the creative field. He has a long list of famous works, including the High Line and Battery Park in New York, and Lurie Garden in Chicago. These are all international landmarks and important cases in urban renewal. We can see he’s not in the business of producing ordinary things. His creative style is quite distinct: wild, crazy, irreverent, his pavilions and gardens are anything but orderly, providing a rich visual feast at every step. The proliferation of plant varieties appears random, but are actually painstakingly planted together with an artisan’s spirit, alternating to form a multilayered wall of plants. He is adept at the use of perennials to create different scenes. 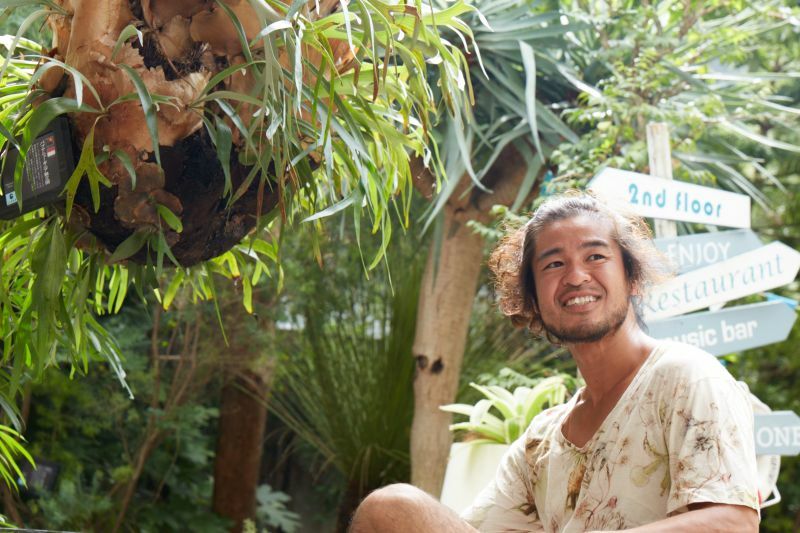 Dubbed the “plant hunter,” Seijun Nishihata is a hot name in Japan of late. He is the fifth generation representative of Japan’s storied plant supply company Hanau Co. This company, founded in 1868, is a giant of the Japanese horticulture scene, and holds a near monopoly on the sale of imported trees, but the company also focuses a great deal on plant cultivation. Their headquarters in Hyogo Prefecture houses over 3,000 types of flowers, making for Japan’s largest, most diverse collection. Seijun had no interest in plants as a child, but after being enchanted by the world’s largest carnivorous pitcher plants on a trip to Mount Kinabalu, he began his plant hunter journey. He traveled deep into the primeval forests and uninhabited islands of Indonesia, sought out the dragon blood tree in Yemen, and even encountered wild bears in the Southern Alps. As soon as he sees a rare plant in a photograph, he begins packing his gear to set out, often just to see it with his own eyes, or to ensure its survival. 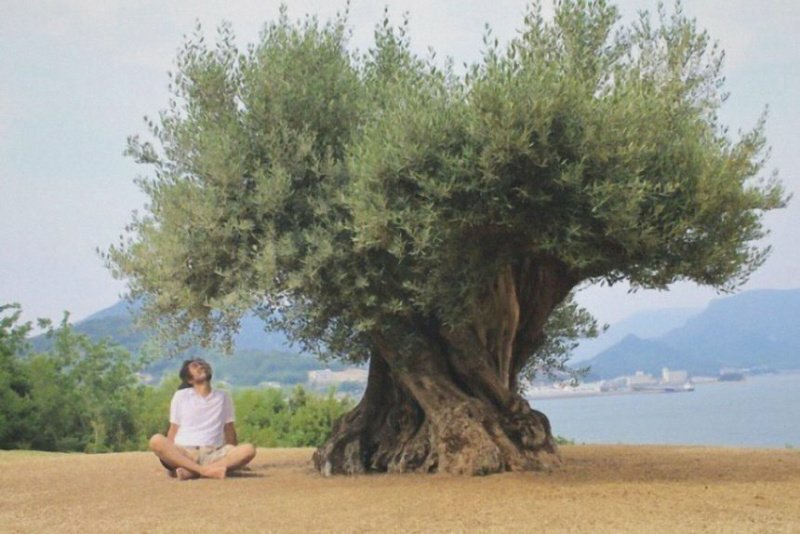 In 2011, he successfully transplanted a century-old, nearly dead olive tree to the island of Shodoshima in Japan. Four years later, the tree was covered in a lush coat of green leaves. 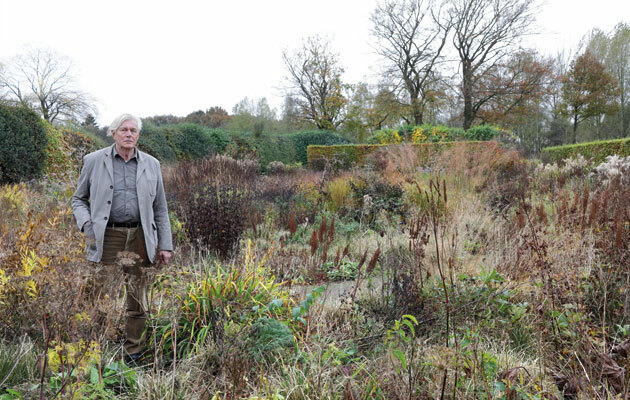 This giant transplantation shocked the horticultural world. 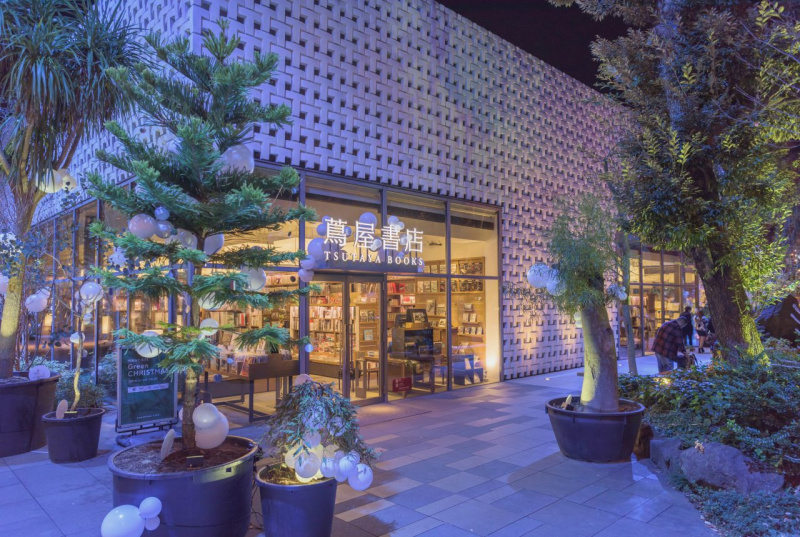 What’s more, he has developed the urban oasis Yoyogi Village in the middle of Tokyo, worked with various brands, designing Louis Vuitton’s Omotesando store, creating a garden installation at the Shiki Juraku Hotel in Kyoto, and designing a Christmas installation for the Tsutaya Shoten Bookstore. More importantly, he uses his fame to share ideas of greenification, landscape art and nature conservation with the greater public. He has been tasked by the city of Ikeda with turning the city greener and more natural by 2030. When I wander the design buyer’s stores of Tokyo, I also often see his small plants for sale. 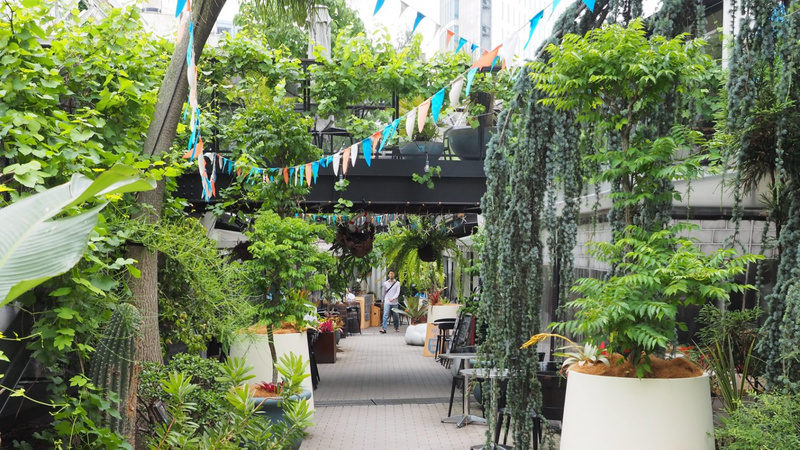 This introduces green thinking to the masses in an easy-to-digest way, much like the idea behind the K11 Art Mall － we reveal the interactive cycle of – art, people and nature, as we believe this is the door to a way of living that future generations can enjoy as much quality of life as we do today.